The Bayelsa state government and a group known as the Bayelsa Democratic Front have had a bit of a stand-off over a proposed Peace Advocacy walk. The government described the walk as designed to promote and spread a message of peace among stakeholders and youth in the Niger Delta community. 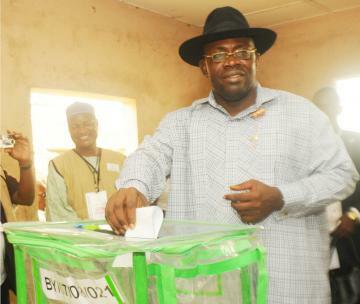 The Bayelsa Democratic Front, which supports former governor Timipre Sylva, has however spoken out against the event, saying it was only being promoted with negative intentions toward Sylva. The Presidential-General of the group, Mr. Promise Okpoebi, described it as a “one million man march” against Timipre Sylva, and “psychological warfare” against the Supreme Court, stating that present governor Seriake Dickson only planned it because would be delivering judgement soon on the dispute between Sylva and the Peoples Democratic People over the party’s rightful candidate for the concluded February 11 governorship election in the state. Governor Dickson’s Senior Special Adviser, Media and Publicity, Mr. Daniel Iworiso-Markson, has however dismissed the allegations, describing the statements of the BDF as part of a smear campaign against Governor Dickson, to win support for former governor Timipre Sylva.